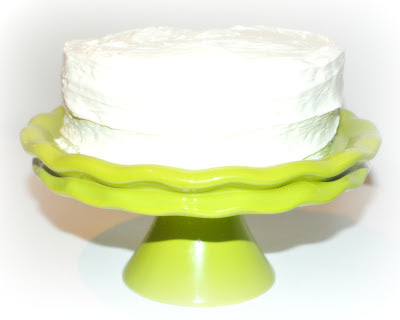 I adore cake plates and stands, there is something about them that just makes me happy! I've been in search of a small green cake stand for a couple weeks now and with a quick lunch trip to Home Goods this week my search ended! I found this simply perfect 8" moss green ruffled cake stand for $6.99 and was honestly giddy the entire day. Home Goods has an amazing collection of cake stands. If you like this one in particular and can not find it at your local Home Goods, you can purcahse an identical one here.